Home / Blog / School’s definitely not out! 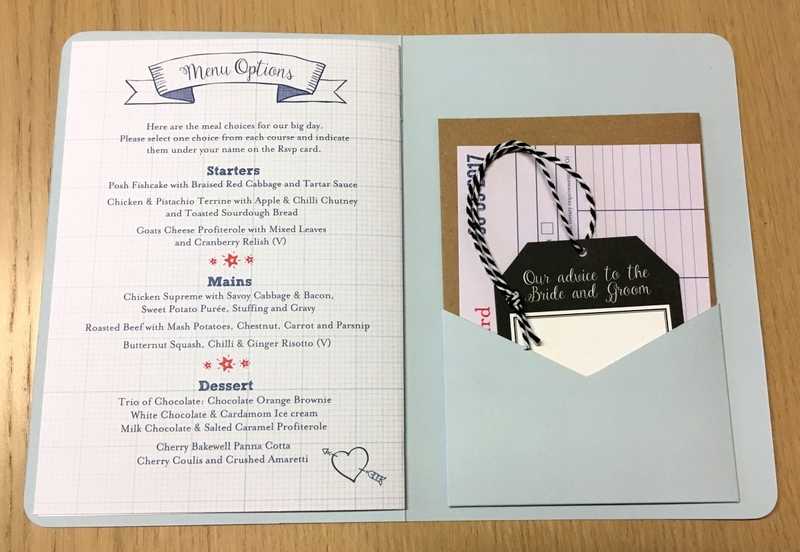 We’ve been really looking forward to sharing this exciting new bespoke design with you. 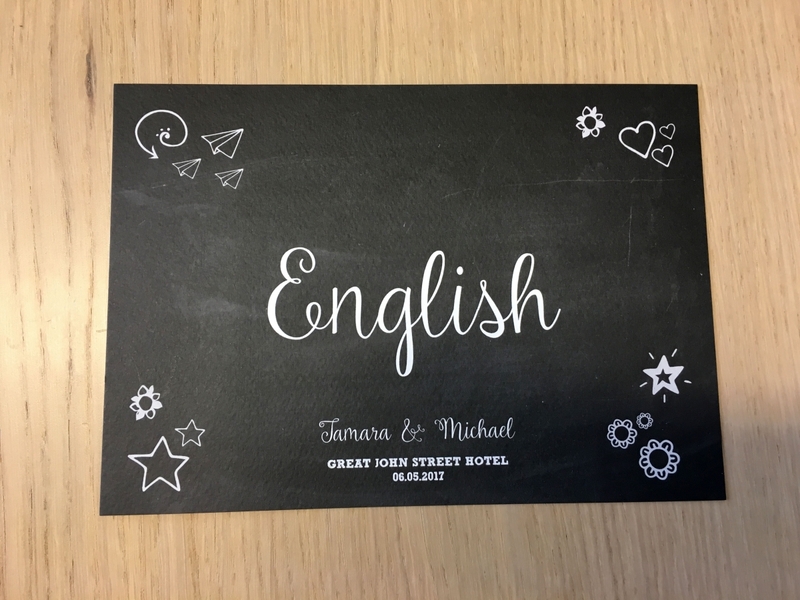 We first met Tamara and Mike at the National Wedding Show in Manchester in February 2016. 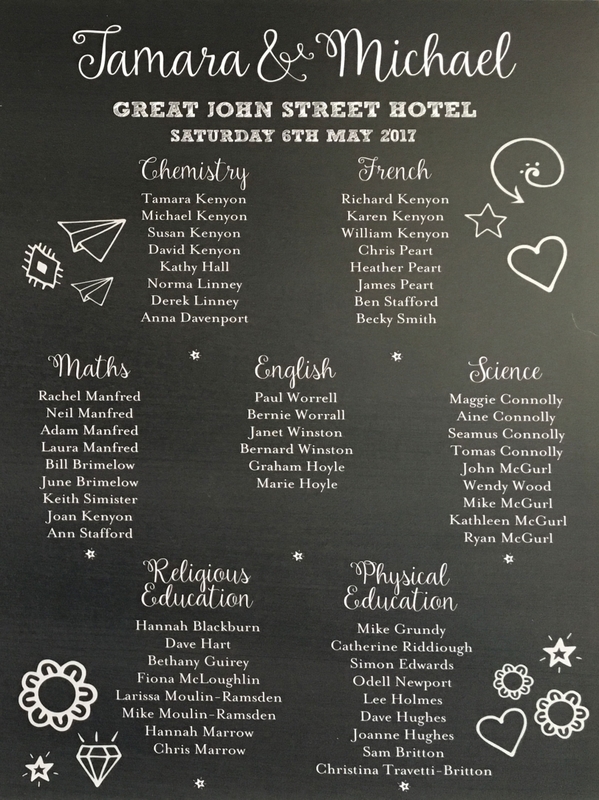 Their brief was to create a school book style invitation as they were getting married at The Great John Street Hotel, which was a former school house. Tamara was great as she knew exactly what style she was looking for and I couldn’t wait to get started. 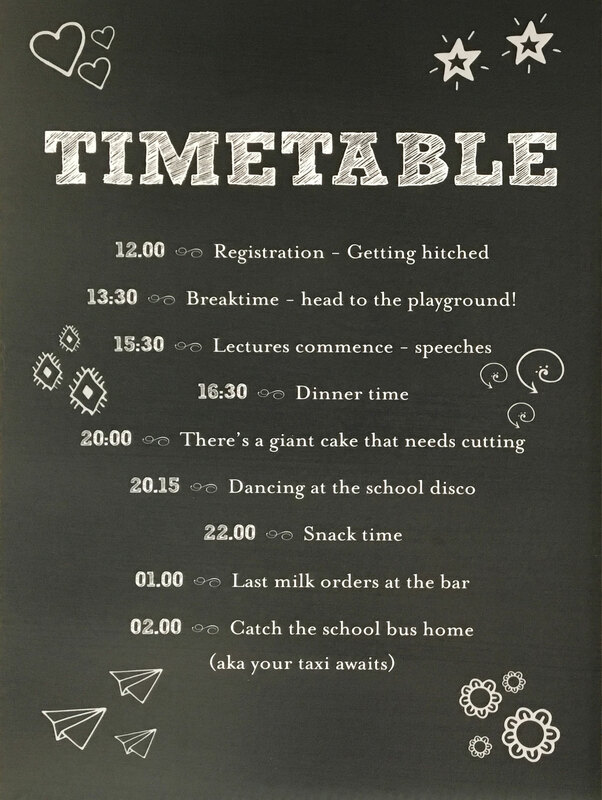 To get the ball rolling we created a neat A7 sized save the date, incorporating old school style doodles along the lines of ‘Mr & Mrs Forever’ on a chalkboard background. A magnet was attached to the reverse of the save the date so guests could pop it on their fridge, just to keep the important date well and truly in mind. 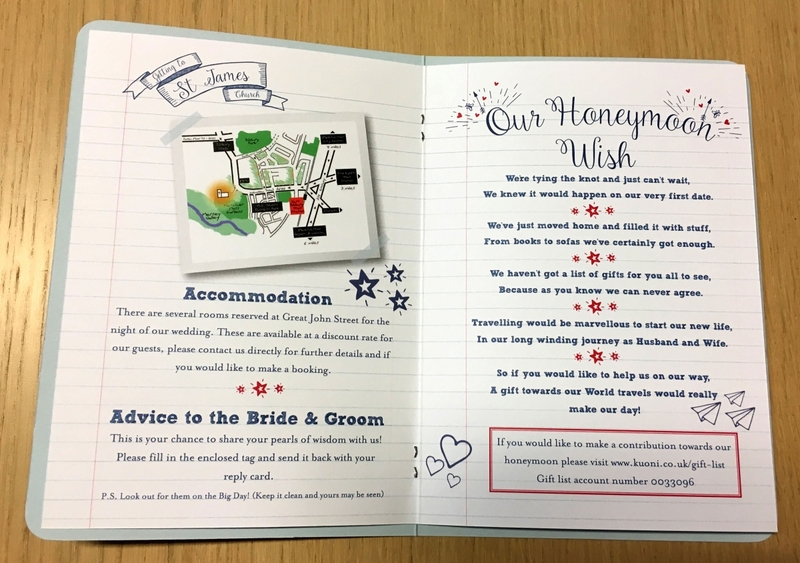 A few months after the save the dates were designed, printed and posted out it was time to make a start on the wedding invitation. 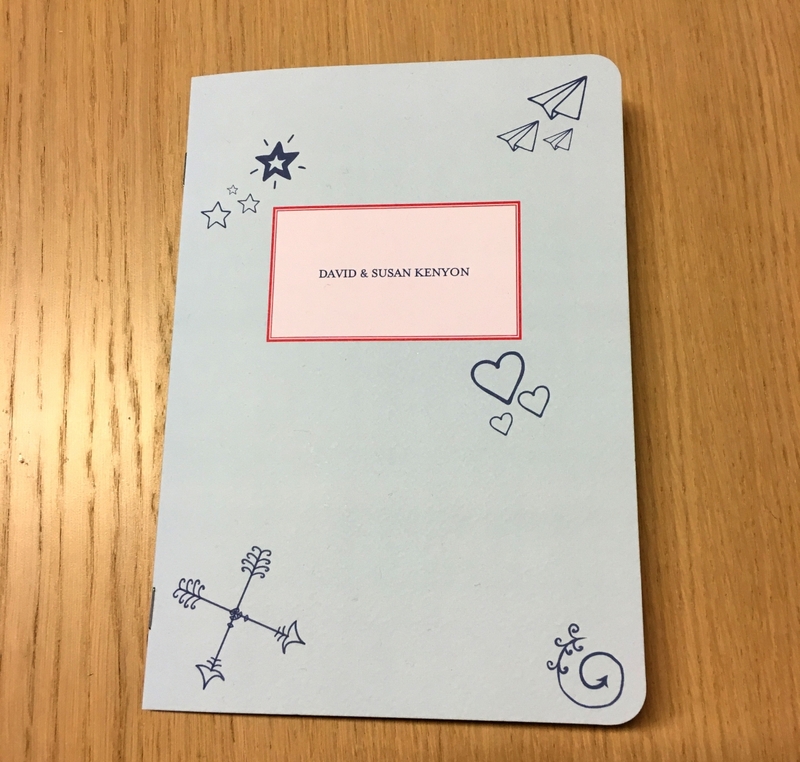 This took the form of a booklet that imitated the look of a school exercise book. 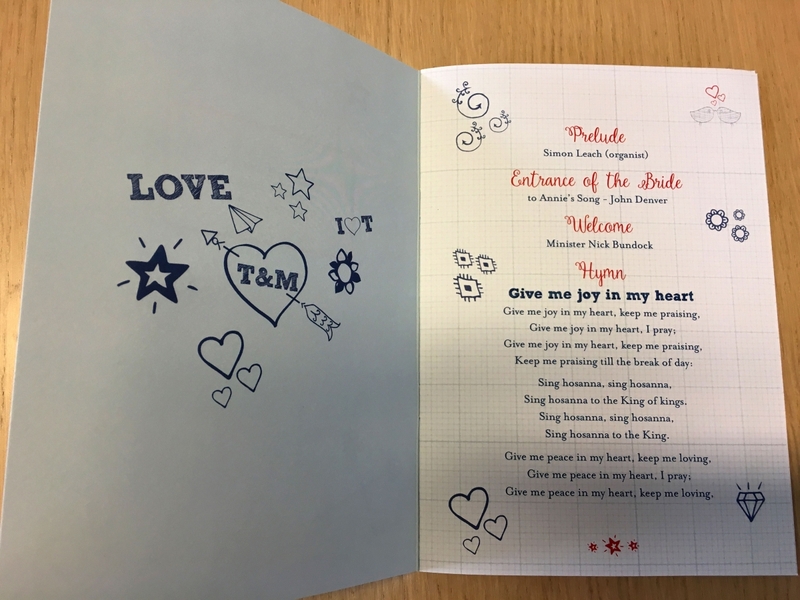 The design incorporated the doodles from the save the date, to ensure the theme was carried though and the pages were made up of lined and graph paper. The invitation even included original school photos of the couple, which was a lovely personal touch. 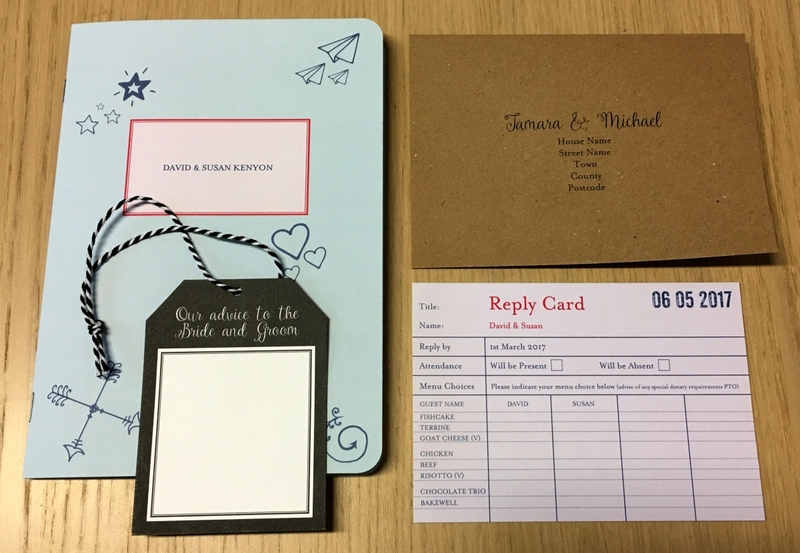 At the back of each invitation there was a pocket which held a library card style Rsvp and return envelope and also ‘a note to the bride a groom’ tag. Guests were asked to fill in the tag and post it back with the Rsvp so they could be used to decorate the venue. We thought this was a great idea. 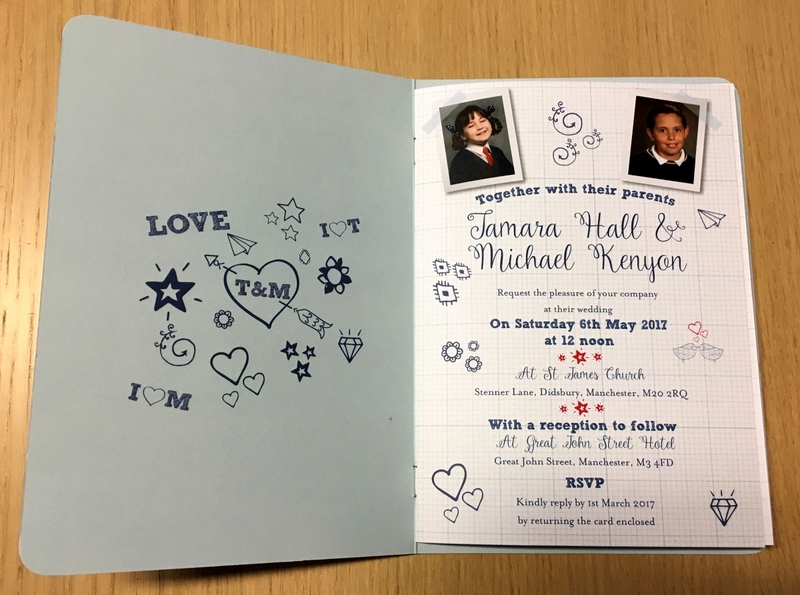 Following the invitation we also produced Tamara and Mikes on the day stationery. 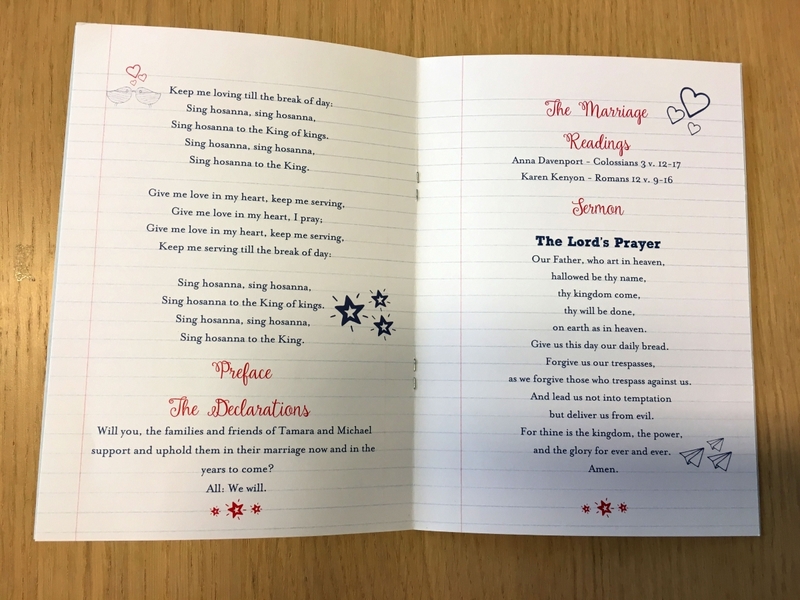 This included a table plan, order of the day, table menu and order of service, all of which followed the school theme.